"No one can make you a deal like we can, and that's a promise!" Choose from our massive selection of Colorado, Silverado 1500, Silverado 2500HD & Silverado 3500HD models, including the largest selection of Genuine GM Certified Trucks and quality preowned trucks in the Sierras. Use our convenient truck finder below - or simply let us know what you're looking for. We even offer special orders for those hard-to-find trucks, too! 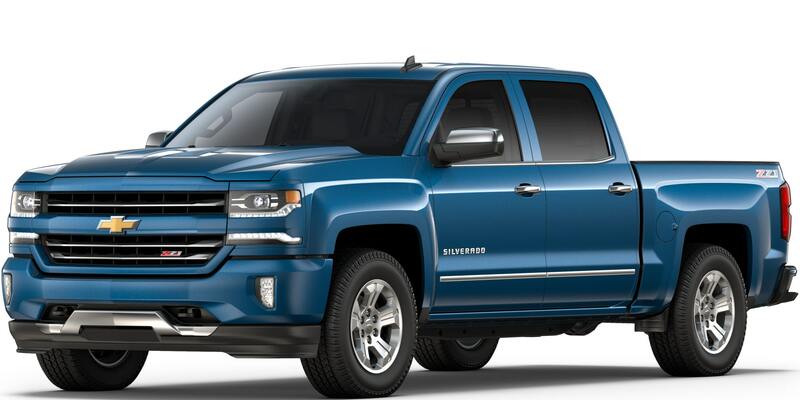 At John L Sullivan Chevrolet, we have a huge inventory of Chevy Silverado pickups in a variety of body styles. Depending on your needs, price range and garage space, one body style might be better for you than another. Which Chevrolet Silverado body style is best for you? 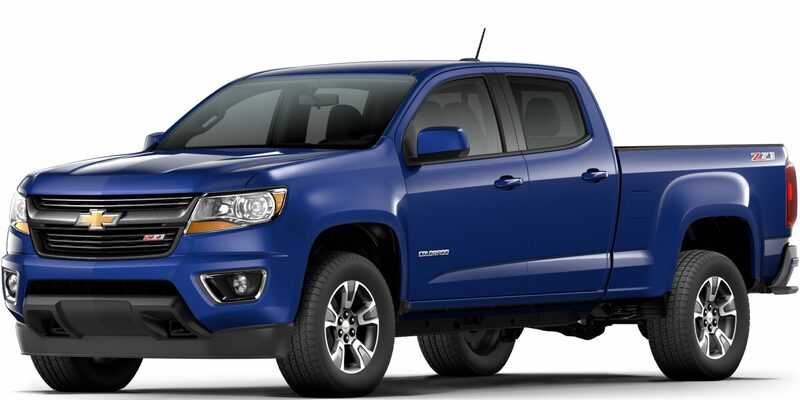 Chevy's Regular Cab is the classic, standard 2-door truck. There is one row of seating, which may seat two or three people. You may opt for a center console and seat two, or choose a third seat in the middle without a console. This is a good truck if you who don't have a big family, or if you don't need a lot of space for work gear. With the Silverado Regular Cab, you have the choice of a standard or long box for the trunk. The standard box is approximately 6 feet, 6 inches long, while the long box is about 8 feet long. The next size up is the Double Cab, also know as Extended Cab. The Extended Cab is a 4-door truck that has two rows of seating, and the back seat is significantly smaller than the front seating area. This is also a good truck for work, and if you have a family it can be a good truck size. While the smaller back seat may not be ideal for adults or long road trips, the cost savings compared to the larger Silverado body styles may best fit your budget needs. On the Silverado Extended Cab, the bed length is about 6 feet, 5 inches long. As the roomiest truck, the Crew Cab is perfect if you who have a big family, take long road trips, or just want a lot of cabin space for your belongings. Chevy's Crew Cab is a 4-door truck with full-size, front-hinged doors on each side. It seats five or six people, depending on your choice of a front middle seat or a center console. With the Silverado Crew Cab , you have the choice of a short bed or a standard bed. The short bed is about 5 feet, 9 inches, while the standard box is about 6 feet, 6 inches long.